PITTSBURGH, Pa. — Kris Wright will be headed across the “pond” regularly soon as he has joined England’s Fortec Motorsports for the British Racing Drivers Championship (BRDC) Formula 3 series for 2019. The Pittsburgh, Pennsylvania resident will be making his debut in European single-seaters with the Daventry, England-based Fortec Motorsports. Owned by Richard Dutton, Fortec specialized in single seater racing, including the British Formula 3 Championship, Formula Renault 3.5 Series and several junior formula categories in the UK and Europe. Kris Wright, the 2018 IMSA Prototype Challenge series LMP3 class champion and recent podium finisher in January’s Rolex 24 At Daytona race is ready for his next challenge. The versatile racer has experience in a variety of racing cars, including Prototype and sports cars, single seaters and production cars. Series include IMSA Prototype P2 and P3 classes, Pro Mazda Championship, Continental Tire SportsCar Championship, World Challenge, USF2000 and the Porsche Carrera Cup Germany. He won the IMSA Prototype Challenge Championship title last year driving an LMP3 Ligier JS P3. “The competition is why I’m going racing in the BRDC,” added Wright. “The competition and knowledge behind everything is so deep over there. When I was testing, I learned that 18 or 21 Formula 1 drivers came through F3. Marcus Ericson’s brother will be one of my competitors this year along with Pastor Maldonado’s nephew. They have really good baseline driver data that was set by some really top drivers. For example, at a test I was able to view Josef Newgarden’s data from when he was a Fortec driver. There are a lot of great drivers who are currently racing in the series and have come up through it or the international F3, creating many champions along the way. “We are delighted to have Kris as part of the Fortec BRDC British F3 team for 2019,” said Russell Dixon, Fortec Motorsports BRDC British F3 Team Manager. “He did a few test days at the end of last year and immediately felt comfortable in the car and with the team. He showed good pace and a strong desire to learn and improve so we are looking forward to a successful year." The BRDC series competes on eight weekends at six different circuit in England and Belgium for a 24-race schedule. The first race is scheduled April 20-22 at Oulton Park in Little Budworth, Tarpoley, Cheshire, England; May 18-19 at Snetterton 300 in Norwich, Norfolk, England; June 8-9 at Silverstone in Silverstone, Northamptonshire, England; June 22-23at Donington Park in North West Leicestershire, England; July 20-21 at Spa-Francorchamps in Stavelot, Belgium; August 3-4 at Brands Hatch in West Kingsdown, Kent, England; August 17-18 return to Silverstone and September 14-15 for the finale at Donington Park again. As the BRDC season doesn’t commence until late April, Wright has been using the extra time to train three days a week in his Pittsburgh hometown with sports therapists and strength trainers with the Allegheny Health Network, and with other professional athletes. Additionally, over the past 18 months Wright has been taking private flying lessons. Although he’s accrued the needed flight hours, studying the coursework has become a priority over the winter break. He’s due to take his private pilot license exam for a single engine aircraft this month in a Cessna 206, the plane in which he’s logged most of his flight hours, and hoping to earn his pilot certification prior to his first British race. 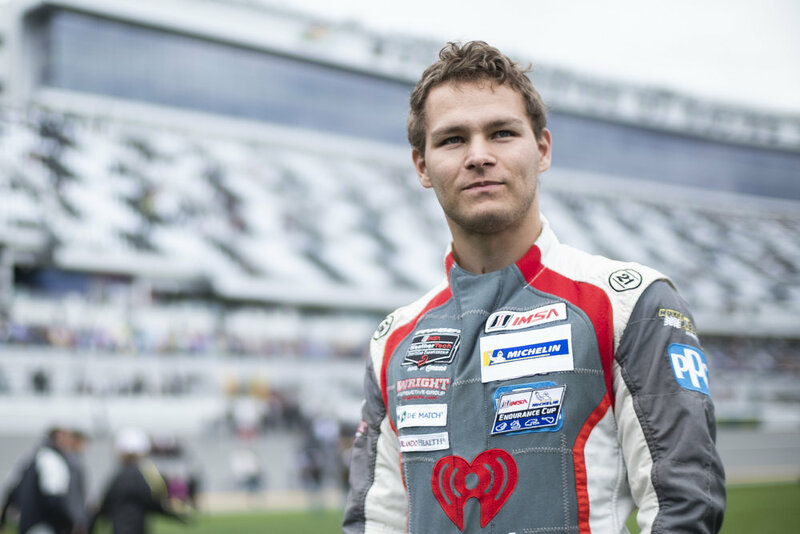 Daytona Beach, Fla., January 29 — Kris Wright came to Daytona as a rookie for his inaugural Rolex 24 At Daytona race, round one of the 2019 IMSA WeatherTech SportsCar Championship. He departed as a podium finisher in the Le Mans Prototype (LMP2) class, along with two other Daytona 24 rookies, in his No. 38 Performance Tech Motorsports ORECA LMP2 race car. They finished second in class and seventh overall, a masterful feat for any team, much less one with so few endurance racing hours amongst its drivers. Wright, the 2018 IMSA Prototype Challenge series LMP3 class champion, had raced on the Daytona International Speedway 3.56-mile circuit three previous times, but not in the classic twice-around-the-clock endurance race. This year was even more grueling than most, as rain started to fall about 14 hours into the 24-hour enduro and never ceased, causing the red flag to stop the race and displayed on two occasions and for a total of just shy of four hours. Kris drove for 140 laps over three stints of the 578-lap race, which was ended 10 minutes early under a red flag. Wright turned the fastest lap in the No. 38 Oreca LMP2 race car in the wee morning hours around 2:30 a.m., and before the rains started, with a quick time of 1.38.745. “This was Kris’ first endurance race so there were a lot of things to think about and for him to learn,” said his driving coach and racer Nic Jonsson. “Having 12 years of experience racing at the Daytona 24-hour race, I tried to coach him, not only on the racing aspects and driving, but also important things like sleeping patterns, when and how to eat, and things like that. Kris’ teammates included father/son duo, Robert and Kyle Masson and Canadian Cameron Cassels. Kyle Masson qualified and started the car. Further 2019 racing plans for Wright will be announced in the near future. Additional information is available on Wright's Web site at KrisWrightMotorsports.com. Fans can also follow him on Facebook/KrisWrightRacing or Instagram/KrisWrightRacing12. DAYTONA BEACH, Florida, January 6, 2019 — Kris Wright returned to Daytona International Speedway this weekend to prepare for his first 24-hour endurance race, the 57th annual Rolex 24 At Daytona, scheduled for January 24-27 in Daytona Beach, Fla. The Roar Before the Rolex 24 three-day test days saw the Pittsburgh, Pa. driver top the charts for the No. 38 Oreca LMP2 team in three of the five practice sessions. Wright has previously raced at the 3.56-mile Daytona International Speedway three times, including driving an LMP3 entry to a podium (third-place) finish last year in the IMSA Prototype Challenge race. “I’m glad to be back at Daytona,” said the 24-year-old driver. “It’s a special track and I enjoy racing here. I’m still trying to get myself up to 100% with the LMP2 car. It’s different and faster that the LMP3 I’ve previously driven. There’s probably another 10-15% more in me still to come. Kris will continue to work on his intense training program in the next two weeks before returning to the Daytona Superspeedway later this month for the twice-around-the-clock enduro. For more information go to KrisWrightMotorsports.com. Fans can also follow him on Facebook at Kris Wright Racing. The series' Web site is at imsa.com. Braselton, Ga., October 12, 2018 — Kris Wright, the IMSA Prototype Challenge (PC) Champion, claimed the championship title today during the final Prototype Challenge race of the 2018 season at Road Atlanta. Kris’ driving coach and mentor, Nic Jonsson, was tagged as his co-driver for the finale of the seven-race IMSA Prototype Challenge series. Kris started from the second position on the grid and settled in to the top three or four positions throughout his stint and over the course of two caution periods. The team pitted on Lap 32 for Jonsson to take over the driving for the balance of the race and through another two cautions. “The start of the race really started back in the trailer. I looked at the grid sheet and saw three Normas in the front. I was in between all three of them, I knew that they were going to get by me sooner or later. I let them go and just tried to tuck in behind the third one and just run my race. “This was the best second place I’ve ever had. We’re really happy to have won the PC Championship. The only thing that could have happened to mess it up for us was if we didn’t finish the race, and we wanted to make sure that didn’t happen. It was really stressful because inevitably the one thing that shouldn’t happen, can happen, so we took it easy out there and finished the race. “We decided together that I would run the race as the insurance policy, if you want to call it that. Kris has been doing a phenomenal job all year and put himself in the position to win the championship and the only thing we had to do here today was make sure we put down some good lap times and bring it home. We ended up being on P2, which is great, and congratulations to Kris and the whole team for doing a superb job all year. Today’s finale marks the end of a busy 2018 racing season for Kris Wright. He’s reviewing plans for 2019 and announcements will be made in the future. 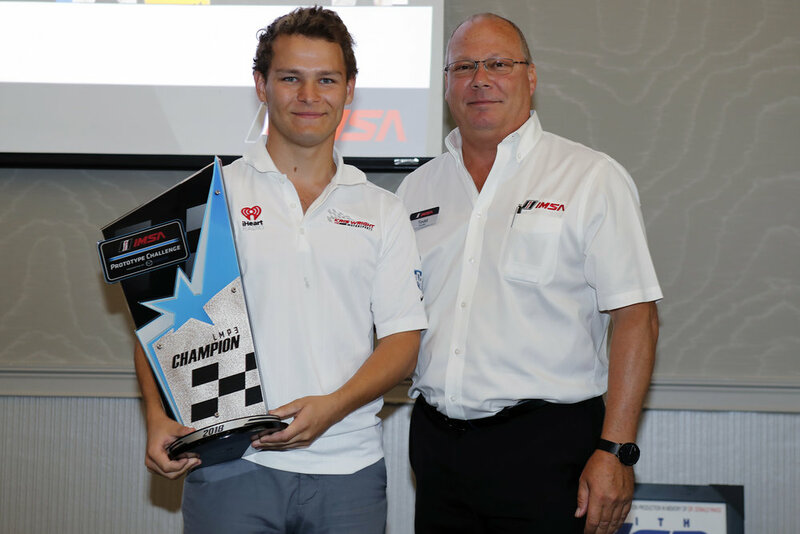 The year-end IMSA Prototype Challenge banquet was held shortly after Friday’s race where Kris was awarded the season championship trophy. When the IMSA Prototype Challenge Presented by Mazda heads to Road Atlanta next weekend for its season-ending event, its likely LMP3 class champion may look at a decision made back in March as his championship-defining moment. Coming off a second consecutive third-place finish to start the season driving the No. 30 Ligier JS P3 for Extreme Speed Motorsports, Kris Wright left Sebring International Raceway second in points, four markers out of the top spot, and with a difficult decision to make about the remainder of the season. In hindsight, it was the right call at the perfect time. One race later, Wright and co-driver Yann Clairay were standing on the top step of the podium at Barber Motorsports Park, while the driver Wright was chasing in the standings, Austin McCusker, finished 16th. Wright took the LMP3 class points lead that day and hasn’t looked back, finishing second at Canadian Tire Motorsport Park and returning to victory lane at VIRginia International Raceway to extend his points lead to what is now a comfortable 23 points over, 162-139, over McCusker. It would be the first professional sports car championship for Wright, but he isn’t letting himself look too far ahead. Wright will have an assist at Road Atlanta in sports car veteran Nic Jonnson, who will co-drive the No. 30 entry for the race. 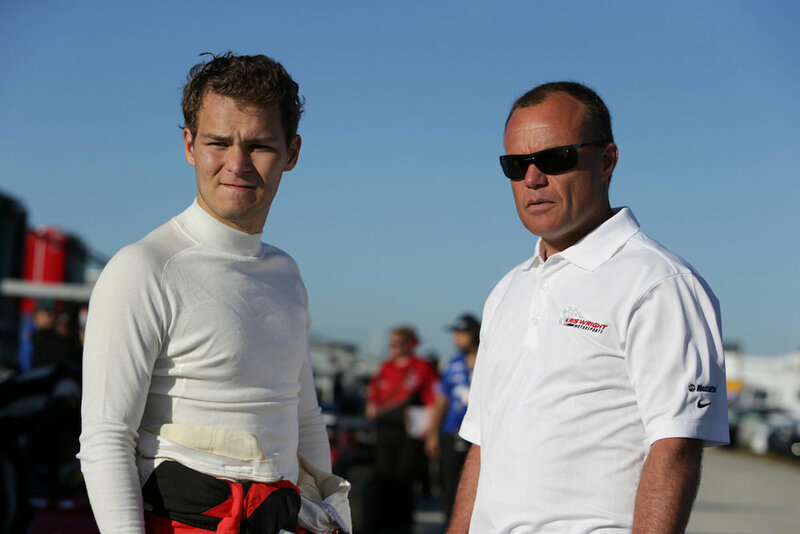 The duo will have a delicate balancing act in keeping the car clean to win the championship, while Wright also tries to become the only IMSA Prototype Challenge Presented by Mazda driver this season to finish on the podium in every race. 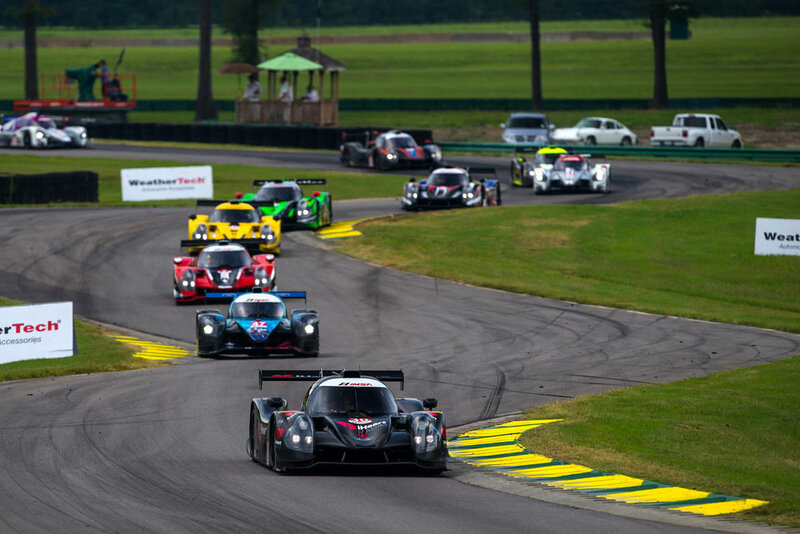 A total of 27 cars are entered for the IMSA Prototype Challenge Presented by Mazda finale at Road Atlanta, 17 in the LMP3 class and 10 in the MPC class. Unlike LMP3, the MPC championship is anybody’s guess with seven cars within nine points of the class lead. The championship-deciding race will go green on Friday, Oct. 12 at 8 a.m. ET and can be streamed live on IMSA.com. ALTON, Va., August 18 — Kris Wright, the IMSA Prototype Challenge points leader extended his lead with his second victory of the season today in the penultimate Prototype Challenge race of the 2018 season at VIRginia International Raceway in Alton, Va.
Driving the No. 30 Extreme Speed Motorsports Ligier JS P3, sponsored by iHeartRadio, Wright and co-driver Stephen Simmons, led nearly all of the one hour 45-minute, 47-lap race. Having collected the pole earlier today, Wright started the race in an enviable position. His also turned the fastest lap of the race with a time of 1:45.216 on lap 7. With variable weather conditions fluctuating between rain and dry and two full course cautions, the Wright/Simmons duo did the job they came to do, win the race and collect the maximum points towards Wright’s year-end championship points quest. Wright now leads the IMSA Prototype Challenge by a comfortable margin with 162 points after finishing on the podium in all of the five races so far this season. He has victories at VIR and Barber Motorsports Park, a second-place finish at Canadian Tire Motorsport Park and third places finishes at Daytona and Sebring. The final race of the season will be held at Road Atlanta on Friday, October 12. 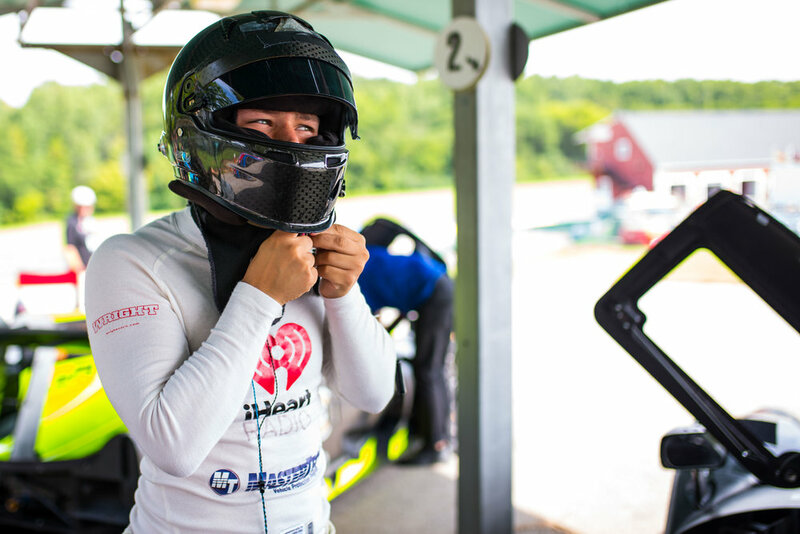 Wright, who turned 24 years old last month, is also competing in other series this season, including the Pro Mazda Series and the German Porsche Cup. “The start of the race was okay. I used the downforce the Ligier has over the Norma and was able to keep it out front and pulled away. Rain started about five or six laps in and steadily creeped up. We pitted for rain tires first and it was the right decision. A shout out is deserved to the team for making the call. I wasn’t real sure where I was in the race order because I caught some traffic but the guys told me I was fine so I should just keep trying to pass cars, which I did. Eventually I learned I was about 30 seconds in the lead when we pitted for driver change. We were really happy to have Stephen [Simmons] co-drive with me. He is nearly a household name in the WeatherTech Series, one of the best guys out there. It was good to have someone with his experience and I learned quite a bit. Kris Wright is back to racing in the IMSA Prototype Challenge Presented by Mazda series this weekend at VIRginia International Raceway in Alton, Virginia, August 17-18. The 24-year-old driver competes in the No. 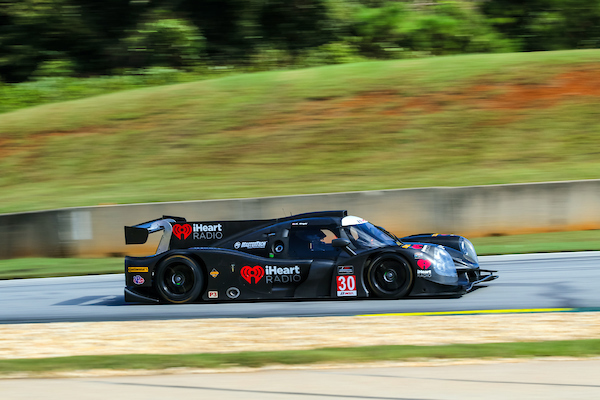 30 Extreme Speed Motorsports Ligier JS P3 car, sponsored by iHeartRadio. His co-driver this weekend is JDC Miller Motorsports P2 driver Stephen Simpson, a 34-year-old multi-series driver currently living in Indianapolis, Indiana. Simpson was the 2016 Prototype Challenge class winner of the 24 Hours of Daytona race in 2016. In two practice sessions today on the scenic 3.27-mile, 17-turn road course, they were second fastest in class in both sessions. Wright had the second fastest time in Friday morning’s Practice 1 with a time of 1:43.619. Simpson handled the driving duties and had the second fastest time in the afternoon’s Practice 2 with a time of 1:43.227. Wright currently leads the IMSA Prototype Challenge Series with 127 points as we go into the penultimate race of the regular IMSA series. The next closest challenger has 114 points. Saturday’s IMSA Prototype Challenge schedule include a 15-minute qualifying session from 10:45-11:00 a.m. with the one-hour and 45-minute race scheduled at 5:55-7:40 p.m. All times are Eastern. You can follow timing and scoring at imsa.com. More information is available on Wright's Web site at KrisWrightMotorsports.com. Fans can also follow him on Facebook and Instagram.